Prior to joining KCAA, Dr. Sterner was a Major in the U.S. Army Medical Corps. He served as assistant professor of internal medicine and pediatrics at the Uniformed Services University of Health Sciences from 2009-2013 in addition to being an allergist. Dr. Sterner also served as Chief of Allergy and Immunology and Adult Immunizations at William Beaumont Army Medical Center in El Paso, Texas. 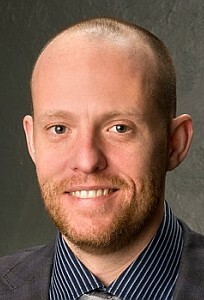 Dr. Sterner joined KCAA in 2014. He enjoys making a difference in the lives of children and adults. This doesn’t just mean providing life-saving treatment and education for conditions such as food and insect sting allergies. It also means making patients’ lives more comfortable and enjoyable by controlling their allergic conditions or eliminating them completely. A native of Lawson, Missouri, Dr. Sterner was pleased to return to Kansas City following his military career. When he isn’t working, Dr. Sterner enjoys woodworking and skiing. He also loves spending time with his wife, young son, and their two dogs, Calvin and Hobbes.